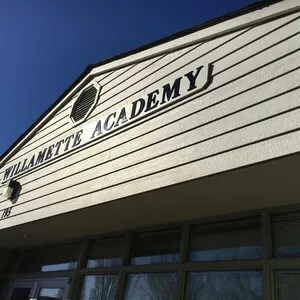 Willamette University is reevaluating changes to its Willamette Academy college prep program after finding some graduation data it used was inaccurate. The university decided to reduce the size of its program for underserved students, based on data that seemed to show poor graduation rates. 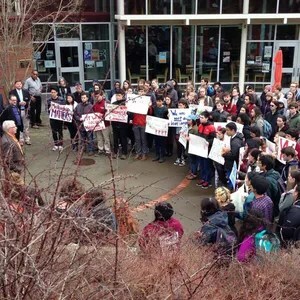 Willamette Academy supporters criticized both the decision and the interpretation of the data, so university president Steve Thorsett asked for a second look. The two most notable differences in data found thus far have to do with college graduation rates of academy students at any college or university, and Willamette University specifically. Originally, the university reported that 22 percent of Willamette Academy students went on to any two- or four-year institution and graduated. The percentage is accurate if looking at college completion rates of all academy graduates from 2008 and earlier; however, the report specified this percentage to be the rate for 2007-2009 academy graduates. In reality, the 2007 and 2009 graduates have a 37 percent graduation rate. Both of these percentages compare to the 10.9 percent of low-income, first-generation students nationwide who attained a bachelor’s degree within six years; and 24.9 percent graduation rate for those who are first-generation students, but not low-income, according to 2011 Pell Institute statistics. The other key inaccuracy pertained to the academy graduates who attended Willamette University specifically. The university originally reported that less than 50 percent of those students actually graduated from the university. 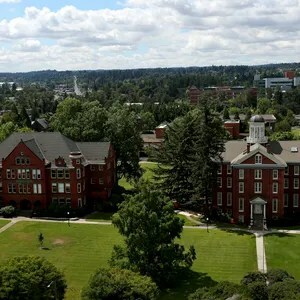 Originally, the university reported that since 2006, only 33 academy students went to Willamette University, 16 of whom are currently enrolled. Of the remaining 17, only eight graduated from college. The other nine “did not persist,” meaning they did not graduate. This would suggest only eight of those who could have graduated did, or 47 percent. With a closer look, the university found that four students have withdrawn, 14 have graduated, and 25 are still in process. The four who withdrew are not included in the graduation rate as they could still graduate should they decide to come back. That in mind, the graduation rate would appear to be 100 percent — 14 have been able to graduate, and 14 have. Adam Torgerson, a spokesperson for the university, said the confusion from the first inaccuracy came from mistaking which years were being reported. He said it is not clear where the incorrect numbers from the second error came from yet. These data were drawn from an internal 2014-15 program review provided to the Willamette Academy Task Force, and had not previously drawn criticism. Rita Moore of the university wrote the report, having used multiple sources, including academy staff and resources, Torgerson said. “The academy database is in bad shape and is unreliable,” he said. Torgerson said there are gaps of information that had to be filled by looking through things like financial aid reports to paint a complete picture. To clarify the numbers, Mike Moon, director of Institutional Research and Effectiveness at the university, is conducting an audit of the data reported in the 2014-15 Program Review, and reporting back to Thorsett by May 15. “The review has brought clarity, and a reminder to be open to those who question,” Thorsett wrote in a letter to the community. Dean David Douglass will take over Willamette Academy’s day-to-day operations through the end of this academic year, though this has no impact on the academy interim Executive Director Jacqueline Rushing’s work. Rushing and Thorsett said it is important that all current Academy students be welcomed back for the 2016-17 academic year, as long as they meet the program’s previously stated enrollment criteria. External programs at the academy are still under consideration. Funding for the program was already committed and will be allocated as planned. Thorsett said they will contact families personally over the next week to share these updates and to address any questions or concerns they may have. Rose Parks, an instructor at the academy, said she is overjoyed with the news. “The students in this program are some of the finest I have ever worked with and I am sure they are a benefit to the middle and high schools they each attend,” she said. “I think that president Thorsett was right to reconsider (the) decision and I hope that this correction will be very healing to the students, staff and community that have worked so hard and achieved such wonderful results from their efforts. Naohmi Cruz, 17, is a current academy student. She was upset when the changes were initially announced, feeling like her academy ‘family’ was being torn apart. She was relieved to hear the university is taking a closer look after the community’s feedback. Moving forward, many like academy alum Alfredo Zúñiga said it is essential for the administrators to include present and past academy member, and their families, in the discussions regarding the future of the academy. npate@StatesmanJournal.com, (503) 399-6745 or follow on Twitter @Nataliempate, on Facebook at www.Facebook.com/nataliepatejournalist or on the web atnataliepate.com.